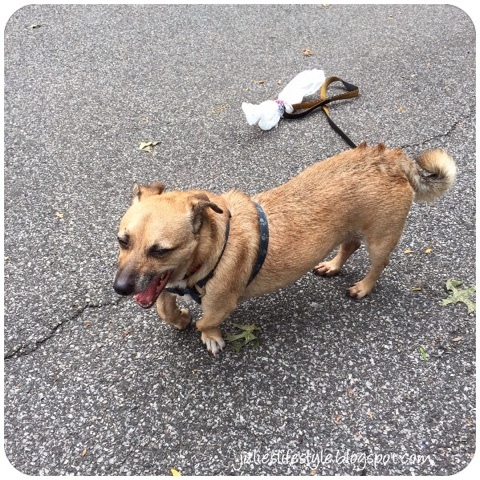 Julie's Creative Lifestyle: Wordless Wednesday - A Yawn from Bosco! I must have been boring Bosco with our morning walk last week! YAWN!!! What a cutie!!!! :) Thanks for sharing! Have a great weekend. I am so tired of this heat and it's getting me down. Lol! Love the poopy bags too :). Hi Julie, Bosco is such a darling. He even yarns cute!! Boring? You? No way Julie! I always love seeing Bosco - what a sweetie pie. Hugs! Awwww Bosco is so cute! Oh Bosco you cutie pie!!! © Julie's Creative Lifestyle: Wordless Wednesday - A Yawn from Bosco!